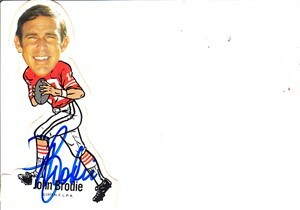 1972 NFLPA vinyl decal or sticker (about 4 5/8 inches tall) autographed in blue marker by former San Francisco 49ers superstar quarterback John Brodie. Obtained in person at celebrity golf tournament many years ago. 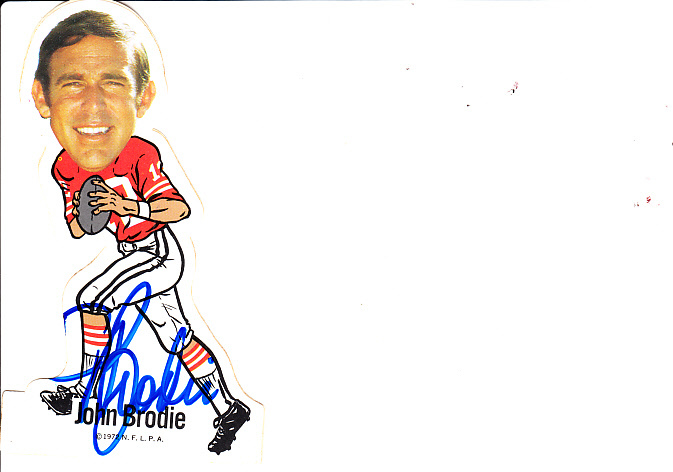 NOTE: signature has very minor flaws. With certificate of authenticity from AutographsForSale.com. ONLY ONE AVAILABLE FOR SALE.